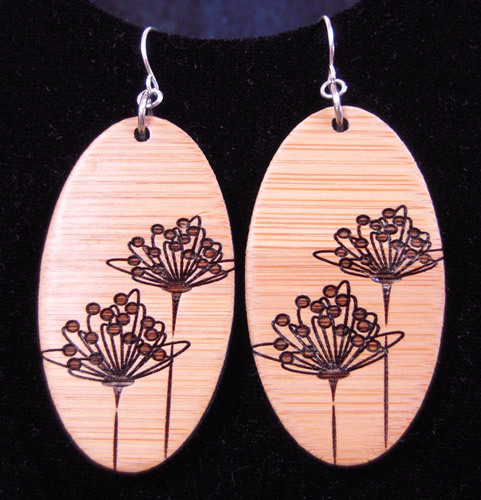 Laser cut bamboo and metal earrings and necklaces are beautiful with precise details. A very different look to freshen up your look. Because they are made with bamboo, they are easy on the ears, too.